Guajillo Pods are the second most popular chile in Mexico surpassed only by the Ancho chile. 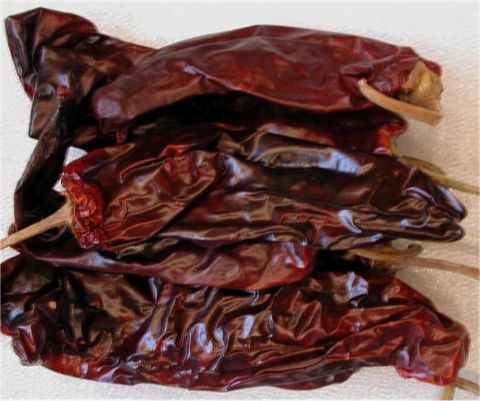 While Guajillo pods may not be a staple in your pantry they are absolutely worth seeking out, these leathery, dark reddish brown chiles are ideal for dishes where one doesn’t want to overpower other flavors. Guajillo pods look very similar to the harder to find Puya chiles which tend to be a bit smaller and pack more heat (5,000 to 8,000 Scoville Heat Units). Puya chiles are used by chefs of authentic Mexican cuisine who are searching for a little bit more unexpected kick. If you like your chiles on the slightly sweeter side, then you will find the Guajillo pods powders an excellent pepper to experiment with in your pantry. It has great flavor range and a heat most everyone can enjoy.